The Milky Way arches across the pre-dawn sky on a morning in Australia. This was the view this morning, Saturday, March 29, at about 4:00 a.m. from my observing site near Coonabarabran, Australia. What a sight! The Milky Way extends from Aquila, in our northern sky at left, all the way across the heavens to Crux and Carina, in the southern sky at right. Just left of centre high in the south lies the bright centre of the Galaxy, in Sagittarius and Scorpius. 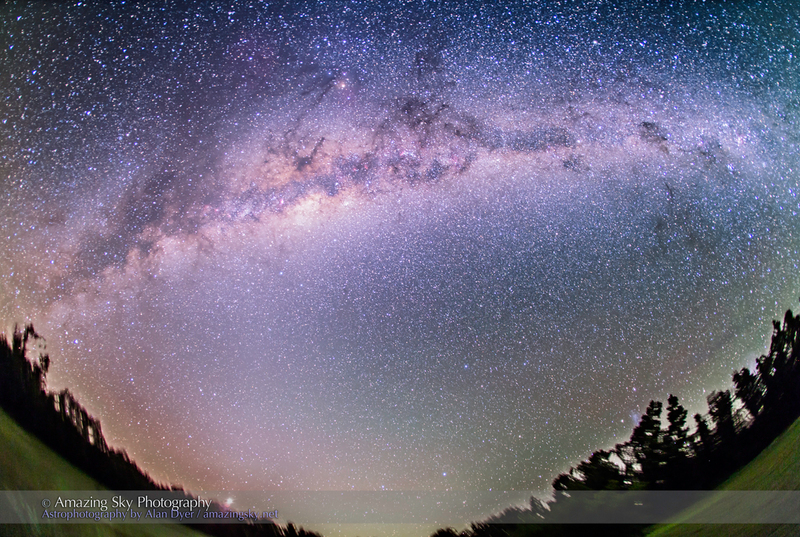 My ultrawide-angle image frames the “Dark Emu,” made of dark lanes and dust clouds in the Milky Way and prominent in aboriginal sky lore in Australia. His head is the Coal Sack at upper right, his neck the curving dust lane from Alpha Centauri to Scorpius right of centre, and his tail and feet are in the dust lanes left of the galactic centre on the left side of the image. He extends all the way across the sky. Venus is just coming over the gum trees at lower left. 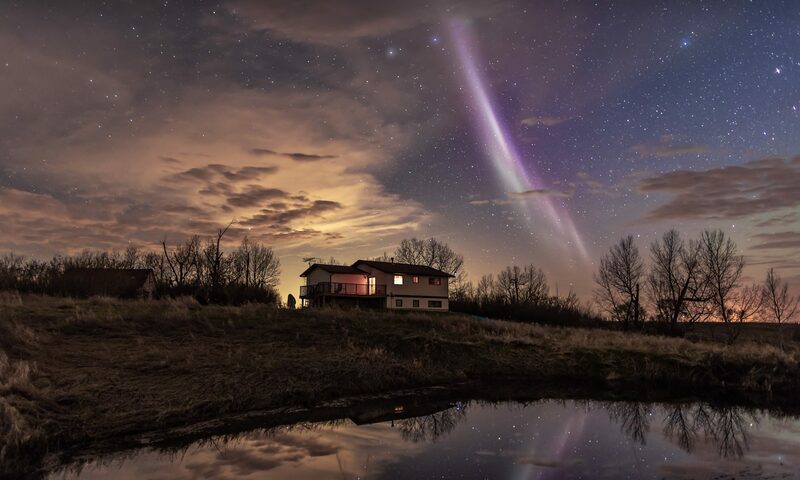 The glow of zodiacal light – sunlight reflected off comet dust in the inner solar system – extends up from Venus to the Milky Way. After three days of rain – cheered by the residents here! – the skies have cleared and the big telescopes have all arrived for our star party this week. It should be a superb week of stargazing, off to a great start with this view in the Australian dawn. One of the things I’ve read about very dark skies is how WIDE the Milky Way is. How wide would you say it is from down there? Does it extend all the way across the constellation Libra? Awesome – thanks for the great images!